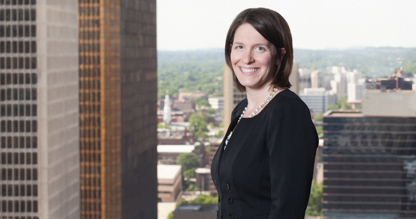 Jamie Sternberg provides counsel on obtaining domestic and foreign trademark protection, including prosecuting trademark applications before the U.S. Patent and Trademark Office, working with trademark counsel worldwide to register trademarks, and analyzing the availability of marks for use and registration. Jamie develops strategies to protect IP assets, including drafting cease and desist letters and negotiating resolutions to disputes. In addition, she litigates trademark disputes before the Trademark Trial and Appeal Board, in federal court, and around the world with foreign counsel. Jamie routinely enforces trademarks on the Internet, including handling Uniform Domain Name Dispute Resolution proceedings before the National Arbitration Forum and the World Intellectual Property Office, offering up-to-date counsel on social media issues, and providing strategic guidance on the new generic top-level (gTLD) domain name program. With respect to corporate matters, Jamie’s practice includes trademark due diligence in corporate transactions and the preparation of a wide range of IP agreements, including assignments and licenses, consulting and confidentiality agreements, and trademark consent and coexistence agreements.